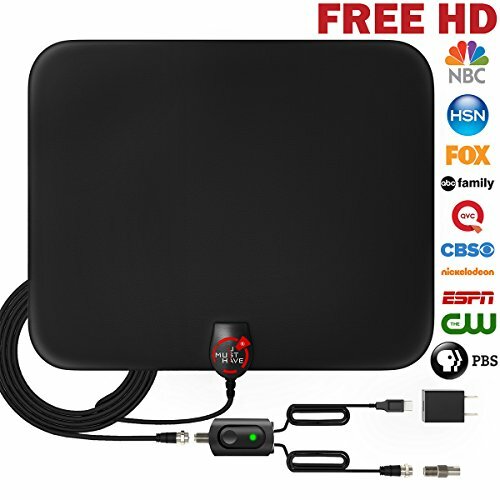 ✅ UP TO 80 MILES RANGE: The indoor HDTV antenna can reach up to 60-80 miles and can be placed almost anywhere in your Home. Digital antenna constantly scans for new channels as they're made available for broadcast. Hang the indoor antenna on a window or wall, or better position where owns better reception of your House. VERY IMPORTANT: This is amplified TV antenna. If a signal cannot be received with the amplifier, remove the antenna amplifier and try again.